We would like to introduce Rachel Lloyd to you. 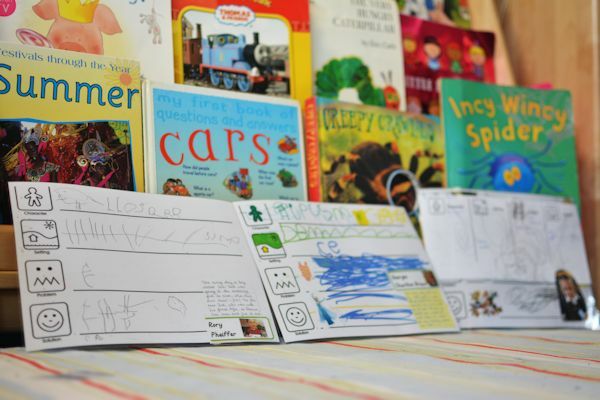 Rachel is a nursery teacher at Alexandra School, Wrexham in Wales and has been sending us fantastic reports about using Tales Toolkit with her nursery class. We thought you’d like to hear her story. Over to Rachel. We have been really lucky to be able to pilot the Tales Toolkit resources in our school since the beginning of Autumn Term and I wanted to share with you my thoughts and experiences so far. 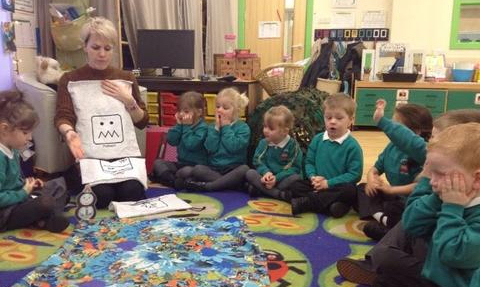 I teach in a Nursery class in a socially deprived area in North Wales. Traditionally our children have poor language skills on entering school and we have to work really hard to bring them up to a typically developing child’s level. We also have a relatively high level of English as an Additional Language children in our setting. At the beginning of term, we were busy helping the children to settle in to a new routine. We were asked if we’d like to pilot Tales Toolkit. I didn’t think that my children would benefit from it as much as other classes going up through our school, but what sold it to me was that there was no planning and paperwork involved. Done! Count me in!! Initially, as we were getting to know our children and also practicing using the resources, the sessions were kept short for Nursery children. 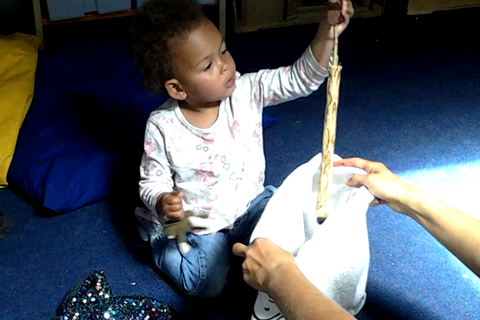 After just two sessions, the children were familiar with the session routine and their little faces lit up when Tales Toolkit appeared! During the first half term the stories the children created were quite repetitive. They used parts of the previous weeks stories with which they were familiar and comfortable. I found it difficult not to prompt the children but knew it was important to run with their ideas. As a teacher, I felt that I should be leading the storytelling and it took me at least a half term to be comfortable being a facilitator rather than a dominating guide! 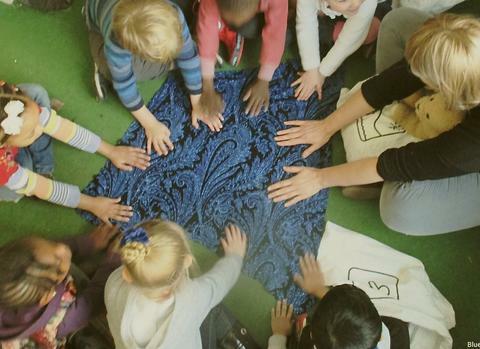 The whole class have become more fluent and imaginative when storytelling as a large group. It is the great thing about collaborative storytelling. Children learn from each other. I also see that individual children are now retelling the story but changing parts that they didn’t like! I have incorporated Tales Toolkit into my continuous provision in a meaningful way. This has encouraged the children to both retell and create stories independently. The children love using the large Tales Toolkit bags so I have boxes in the provision labelled with the Tales Toolkit symbols to encourage children to select their own story props and create stories independently. 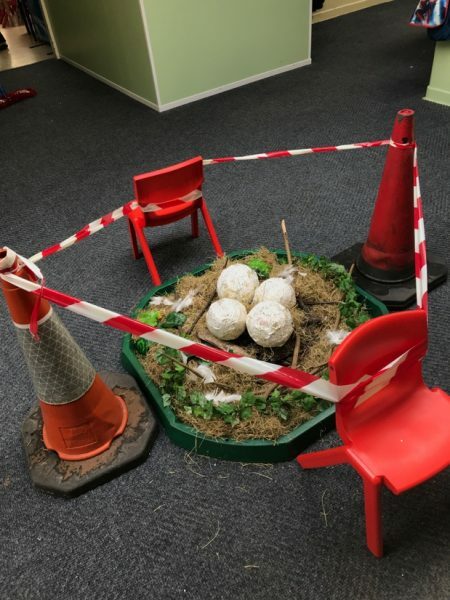 I found that after our whole class storytelling session, all the children are really keen to retell our story and lots of them now want to record their stories. 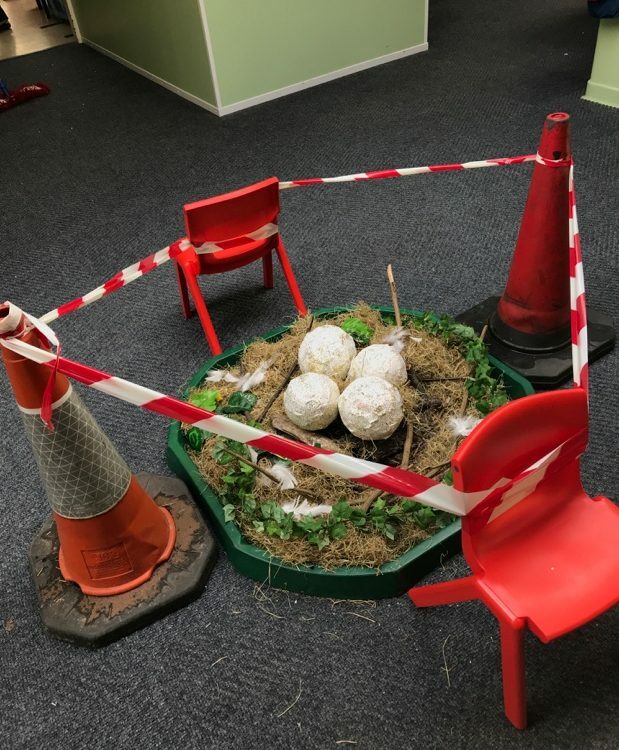 I have enhanced the storytelling area with pictures of the props used and encourage the children to use these pictures and then write about each story part. When they have finished they bring their story to retell and we scribe. I have been able to assess my children’s oracy skills on entry and would say that the majority of them have already reached their target level for this year for responding to stories, through Tales Toolkit alone. I have always been an advocate of storytelling and developing writing skills through talk. I feel that my children have had a unique opportunity to develop these skills at a really early age through simple storytelling and easy to use resources. I have been able to assess children’s knowledge and develop numeracy, problem solving and creative skills through our storytelling. I also feel that I have gained a great insight into their thought processes through the varied and amazing solutions that they devise. This has meant that I have been able to provide tailored opportunities for them to develop their learning and thinking skills, which I wouldn’t have had without using Tales Toolkit. I really am not on commission, but would like to urge you to try Tales Toolkit as soon as it is available for sale. You won’t regret it and neither will your children!